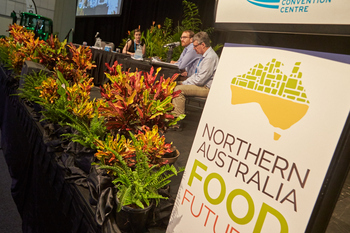 The second Northern Australia Food Futures Conference, held in Darwin from the 11th - 13th of April, was a resounding success on many levels. 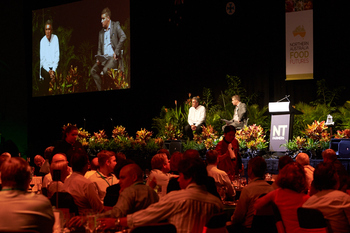 The conference set out to find out ‘what investors want’ in agriculture and what Northern Australia has to offer. 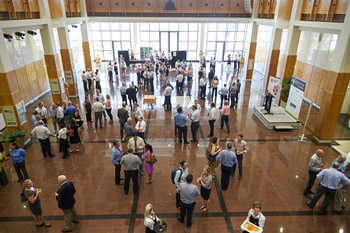 Hosted by the Northern Territory Farmers Association, the Conference was a truly northern event with strong representation from QLD, NT, WA as well as delegates from Asia and America. 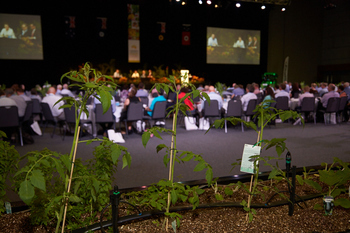 Federal Ministers and Ministers from the northern states participated along with senior government agency staff, leading agribusiness representatives and farming associations from across Australia. Around 300 delegates, sponsors and speakers attended, with 60% of delegates from the private sector and 40% from government. 92% of survey respondents said that the Conference met their expectations and 83% of respondents said they would be likely to attend the next Conference. David Williams of Kidder Williams spoke on the need for public and private sectors working together on northern development and the need to focus on business models for development not just resources and infrastructure. Chairman Brian Wilson from the Foreign Investment Review Board stressed the need for foreign investment and defended the NT Government port lease decision strongly. He likened Landbridge connections to the Chinese Government as similar to BHP’s connections with the Australian Government. Dr Geoff Raby (former Ambassador to China, now Non-Executive Director Fortescue MG) spoke about the importance of the media acting responsibly when talking about Chinese investment; it is heard in China and doesn’t help Australia’s cause. David Williams also spoke on this subject strongly in support of foreign investment. 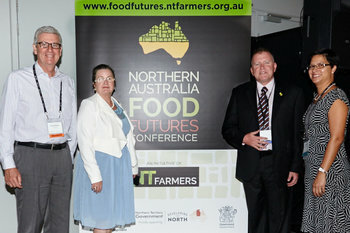 Farmers who have succeeded in the north shared their stories. 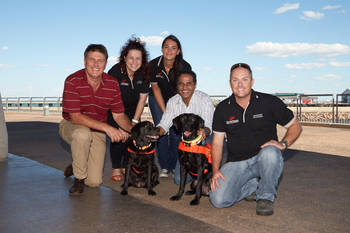 NT examples included Bruce White from Mt Keppler, Paul Mc Laughlin from Ali Curung and Kane Younghusband from Mataranka. 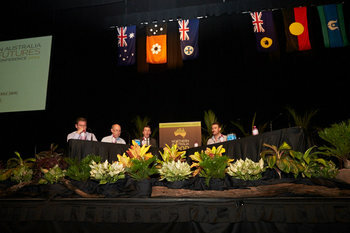 Farmers from WA included Jim Engelke of KAI, Phil Hams of GoGo station, Rob Boshammer and David Menzel from the Ord, and from Queensland Paul Ryan of Cape York and David Hassum from the IFED proposal. Indigenous participation in agriculture featured Lynette Shaw from the Gooniyandi Assoc in Fitzroy Crossing working with GoGo Station, and Paul McLaughlin, farming Traditional Owners land at Ali Curung. Delegates also heard from Vin Lange from Centrefarm and the WA Government’s experience with the Mownajum community. 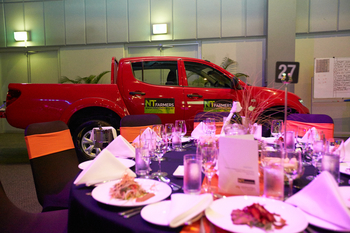 Brendon Grylls MLA for Pilbara was an outstanding MC and contributed strongly to the overall success of the event. 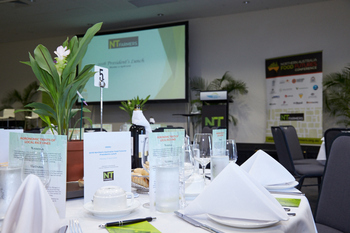 His ‘Royalty for Regions’ policy has been a major driver of northern development in WA. 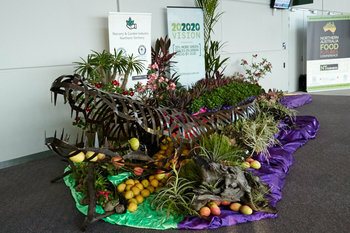 Brendon also made it clear it is the role of the agricultural sector to press its case in the media and in politics. WA Minister for Water the Hon. Mia Davies and other speakers from WA evidenced the active role the WA government plays in developing the north. Asst. Minister for Agriculture, Senator Anne Ruston and Shadow Minister for Agriculture the Hon Joel Fitzgibbon MP are in agreement in many areas regarding northern development. Senator the Hon. Matt Canavan gave the opening keynote address and impressed many with his open style and thinking. Private sector needs to lead the way, but government approval processes are still a limitation, especially in WA and QLD. NT performs well in this area. The Future Farmer Awards presented at the Gala Dinner recognised the outstanding contribution and leadership of three northern farmers. 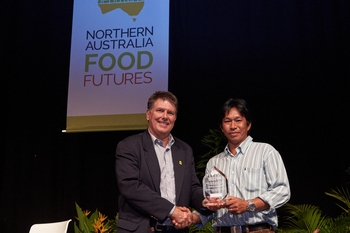 The recipients were; Michael Quach (NT), Christian Bloecker (WA) and Sara Westaway (QLD). 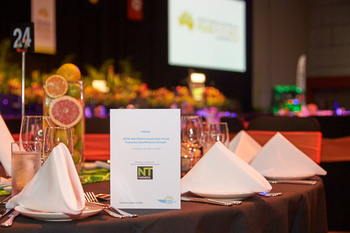 The event would not have been possible without the support of our sponsors including NT, WA and QLD governments, the Office of Northern Australia, CSIRO, RIRDC, ACIAR, Vanderfield, Rivulis, Prime Super, Water Dynamics, OPUS and ANL. “I enjoyed the mix of speakers from the real life success stories to the politicians, academics and others who all contributed to an informative and well worthwhile event. Congratulations on a great job!” Andrew Coldbeck, Managing Director, the Job Shop. 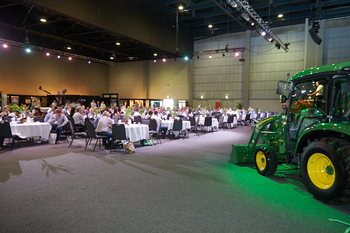 Thank you to all delegates, speakers, sponsors, exhibitors, members and guests who attended the 2016 conference and supported this important industry event! 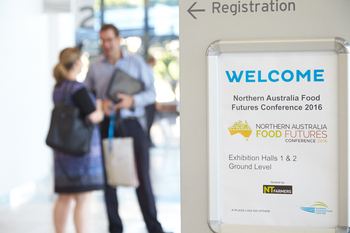 We look forward to seeing you at the next Northern Australia Food Futures conference!